8mm Vintage Camera itunes.apple.com Read reviews, compare customer ratings, see screenshots, and learn more about 8mm Vintage Camera. Download 8mm Vintage Camera and enjoy it on your iPhone, iPad, and iPod touch. ProCam 2 itunes.apple.com Read reviews, compare customer ratings, see screenshots, and learn more about ProCam 4 - Manual Camera + RAW. Download ProCam 4 - Manual Camera + RAW and enjoy it on your iPhone, iPad, and iPod touch. VideoPro itunes.apple.com Read reviews, compare customer ratings, see screenshots, and learn more about VideoPro Camera. Download VideoPro Camera and enjoy it on your iPhone, iPad, and iPod touch. UltraKamPRO itunes.apple.com Read reviews, compare customer ratings, see screenshots, and learn more about Ultrakam 4k. The Professional Camera App.. Download Ultrakam 4k. The Professional Camera App. and enjoy it on your iPhone, iPad, and iPod touch. Emulsio-Video Stabiliser itunes.apple.com Read reviews, compare customer ratings, see screenshots, and learn more about Emulsio - Powerful Video Stabilization. Download Emulsio - Powerful Video Stabilization and enjoy it on your iPhone, iPad, and iPod touch. TiltShift Video itunes.apple.com Read reviews, compare customer ratings, see screenshots, and learn more about TiltShift Video - Miniature effect for movies and photos. Download TiltShift Video - Miniature effect for movies and photos and enjoy it on your iPhone, iPad, and iPod touch. StillShot-create photos from video itunes.apple.com Read reviews, compare customer ratings, see screenshots, and learn more about StillShot. Download StillShot and enjoy it on your iPhone, iPad, and iPod touch. Gravie-text on Video itunes.apple.com Read reviews, compare customer ratings, see screenshots, and learn more about Gravie - Text on Video. Download Gravie - Text on Video and enjoy it on your iPhone, iPad, and iPod touch. Tadaa SLR itunes.apple.com Read reviews, compare customer ratings, see screenshots, and learn more about Tadaa SLR. Download Tadaa SLR and enjoy it on your iPhone, iPad, and iPod touch. Camera+ itunes.apple.com Read reviews, compare customer ratings, see screenshots, and learn more about Camera+. Download Camera+ and enjoy it on your iPhone, iPad, and iPod touch. Vyclone-Create multi cam vids together itunes.apple.com Connecting to the iTunes Store. 645Pro MarkII itunes.apple.com Read reviews, compare customer ratings, see screenshots, and learn more about 645 PRO Mk III. Download 645 PRO Mk III and enjoy it on your iPhone, iPad, and iPod touch. 360º Panorama itunes.apple.com Read reviews, compare customer ratings, see screenshots, and learn more about 360 Panorama. Download 360 Panorama and enjoy it on your iPhone, iPad, and iPod touch. iLapse TimeLapse App itunes.apple.com Read reviews, compare customer ratings, see screenshots, and learn more about iLapse - Time Lapse Video and Multiple Exposure Blender. Download iLapse - Time Lapse Video and Multiple Exposure Blender and enjoy it on your iPhone, iPad, and iPod touch. Instagram itunes.apple.com Read reviews, compare customer ratings, see screenshots, and learn more about Instagram. Download Instagram and enjoy it on your iPhone, iPad, and iPod touch. Afterfocus itunes.apple.com Read reviews, compare customer ratings, see screenshots, and learn more about AfterFocus. Download AfterFocus and enjoy it on your iPhone, iPad, and iPod touch. iTimelapse Pro itunes.apple.com Read reviews, compare customer ratings, see screenshots, and learn more about iTimeLapse Pro - Time Lapse videos. 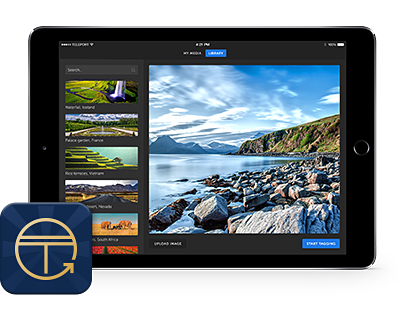 Download iTimeLapse Pro - Time Lapse videos and enjoy it on your iPhone, iPad, and iPod touch. Nostalgio Photo Collage maker itunes.apple.com Connecting to the iTunes Store. Lens+ itunes.apple.com Read reviews, compare customer ratings, see screenshots, and learn more about Lens+. Download Lens+ and enjoy it on your iPhone, iPad, and iPod touch. Voice Record Pro itunes.apple.com Read reviews, compare customer ratings, see screenshots, and learn more about Voice Record Pro. Download Voice Record Pro and enjoy it on your iPhone, iPad, and iPod touch. TwistedWave Audio Editor itunes.apple.com Read reviews, compare customer ratings, see screenshots, and learn more about TwistedWave Audio Editor. Download TwistedWave Audio Editor and enjoy it on your iPhone, iPad, and iPod touch. Hokusai Multi-Track Audio Editor itunes.apple.com Read reviews, compare customer ratings, see screenshots, and learn more about Hokusai Audio Editor. Download Hokusai Audio Editor and enjoy it on your iPhone, iPad, and iPod touch. JamSnap-Add sound to photos itunes.apple.com Connecting to the iTunes Store. Hindenburg itunes.apple.com Read reviews, compare customer ratings, see screenshots, and learn more about Hindenburg Field Recorder. Download Hindenburg Field Recorder and enjoy it on your iPhone, iPad, and iPod touch. Wavepad Audio editor itunes.apple.com Read reviews, compare customer ratings, see screenshots, and learn more about WavePad Audio Editor Free. Download WavePad Audio Editor Free and enjoy it on your iPhone, iPad, and iPod touch. Rode Rec itunes.apple.com Read reviews, compare customer ratings, see screenshots, and learn more about RØDE Rec. Download RØDE Rec and enjoy it on your iPhone, iPad, and iPod touch. Garageband itunes.apple.com Read reviews, compare customer ratings, see screenshots, and learn more about GarageBand. Download GarageBand and enjoy it on your iPhone, iPad, and iPod touch. Dropvox - record audio direct to your DropBox A/c itunes.apple.com Read reviews, compare customer ratings, see screenshots, and learn more about DropVox - Record Voice Memos to Dropbox. Download DropVox - Record Voice Memos to Dropbox and enjoy it on your iPhone, iPad, and iPod touch. Video to Audio itunes.apple.com Connecting to the iTunes Store. iRig Recorder itunes.apple.com Lesen Sie Rezensionen, vergleichen Sie Kundenbewertungen, sehen Sie sich Screenshots an und erfahren Sie mehr über „iRig Recorder“. Laden Sie „iRig Recorder“ und benutzen Sie die App auf ihrem iPhone, iPad und iPod touch. iMovie for iOS itunes.apple.com Read reviews, compare customer ratings, see screenshots, and learn more about iMovie. 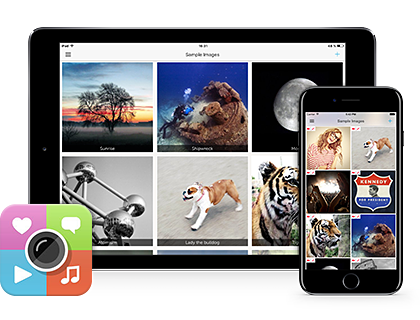 Download iMovie and enjoy it on your iPhone, iPad, and iPod touch. Video Grade- colour correct/grade your video itunes.apple.com Read reviews, compare customer ratings, see screenshots, and learn more about VideoGrade - Color Editor for HD Video and Photos. Download VideoGrade - Color Editor for HD Video and Photos and enjoy it on your iPhone, iPad, and iPod touch. Storehouse-Visual Storytelling (iPad only) itunes.apple.com Connecting to the iTunes Store. 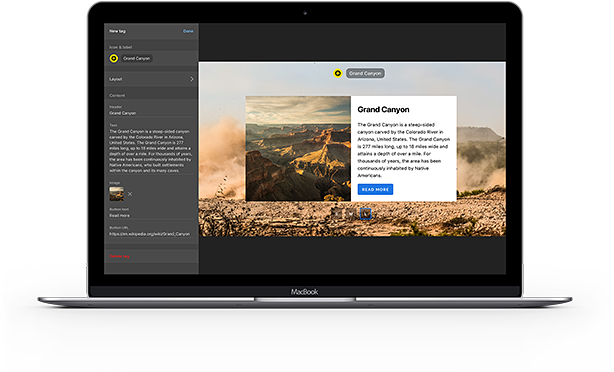 Steller - create multimedia stories for iPhone itunes.apple.com Read reviews, compare customer ratings, see screenshots, and learn more about Steller - Create Stories with Photos, Video & Text. Download Steller - Create Stories with Photos, Video & Text and enjoy it on your iPhone, iPad, and iPod touch. Animoto itunes.apple.com Read reviews, compare customer ratings, see screenshots, and learn more about Animoto Video Slideshow Maker. Download Animoto Video Slideshow Maker and enjoy it on your iPhone, iPad, and iPod touch. iFTP Pro itunes.apple.com ‎Read reviews, compare customer ratings, see screenshots, and learn more about iFTP Pro - The File Transfer, Manager and Editor. Download iFTP Pro - The File Transfer, Manager and Editor and enjoy it on your iPhone, iPad, and iPod touch. Ftp on the Go Pro itunes.apple.com Read reviews, compare customer ratings, see screenshots, and learn more about FTP On The Go Pro - Upgrade. Download FTP On The Go Pro - Upgrade and enjoy it on your iPhone, iPad, and iPod touch. EveryTrail Pro itunes.apple.com Connecting to the iTunes Store. Airstash+ App- companion to Airstash itunes.apple.com Read reviews, compare customer ratings, see screenshots, and learn more about AirStash+. Download AirStash+ and enjoy it on your iPhone, iPad, and iPod touch. Recordium Pro-annotate your audio itunes.apple.com Read reviews, compare customer ratings, see screenshots, and learn more about Recordium Pro - voice recorder, record memos and note taking. Download Recordium Pro - voice recorder, record memos and note taking and enjoy it on your iPhone, iPad, and iPod touch. Thinglink itunes.apple.com Read reviews, compare customer ratings, see screenshots, and learn more about ThingLink. Download ThingLink and enjoy it on your iPhone, iPad, and iPod touch. Shazam itunes.apple.com Read reviews, compare customer ratings, see screenshots, and learn more about Shazam - Discover music, artists, videos & lyrics. Download Shazam - Discover music, artists, videos & lyrics and enjoy it on your iPhone, iPad, and iPod touch. Video Download itunes.apple.com Connecting to the iTunes Store. Firechat - chat without 3G/4G/Wifi connectivity itunes.apple.com Read reviews, compare customer ratings, see screenshots, and learn more about FireChat. Download FireChat and enjoy it on your iPhone, iPad, and iPod touch.